The concept of mediation may be new to you. Below we answer some frequently asked questions about mediation an mediation services. 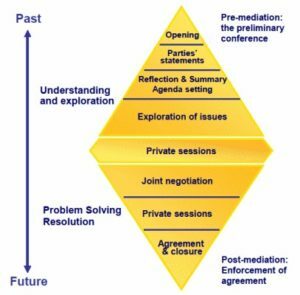 Mediation is a process developed to assist parties to resolve their own disputes. A mediator is a neutral third person who encourages those in the dispute to talk to each other about their issues. The mediator is not an advice-giver or decision-maker. The parties examine the real problems, large or small. They then create and agree upon an outcome that meets their needs and addresses their concerns. The National Mediator Accreditation System (NMAS) in Australia sets the required standard for mediators. The NMAS assesses mediator competency and the associated Standards specify the essential features of assessment of competency. 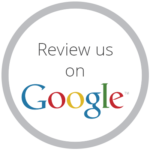 Mediators that meet the requirements are Nationally Accredited. The Resolution Institute, previously LEADR and IAMA, has been accrediting mediators since the mid 1990s. What are the benefits of using a mediation service? Mediation often improves understanding between the parties in an ongoing relationship. reduces negative or destructive consequences for ongoing relationships. Yes. The parties and the mediator have the right to withdraw at any time, although this is rare. The involved parties attend mediation and are able to bring a lawyer and/ or support person. Third parties are required to sign a Confidentiality Agreement. Are your mediation services confidential? All mediation is a confidential process so far as the law allows. FDR is a legal term for mediation that assists couples who are separating or divorcing resolve their family dispute. FDR can assist couples resolve their parenting and property matters. An FDRP is a Family Dispute Resolution Practitioner, an Accredited practitioner registered with the Attorney-General's Department. Each FDRP is given a registration number and is required to meet ongoing professional obligations and standards contained in the Family Law (Family Dispute Resolution Practitioners) Regulations 2008. Can an FDRP issue a s60I certificate? Only registered FDRPs can issue section 60I certificates. A s60I certificate allows people to file an application in Court seeking Orders to resolve their family law disputes. How can I start my mediation process? Contact us to discuss how the mediation process can be commenced by one party. It is possible for our service to extend an invitation to the other party to participate in mediation. The cost of mediation is either shared by the parties or met by one party by agreement.